Diamond shaped towel that is approx. 30" x 30"
Need a larger towel? Browse our hooded towels for kids! Our babies are the most precious people in our lives. You are always wanting the absolute best things for your baby. It doesn't hurt to get them the absolute cutest things either. This hooded towel is the perfect thing for your sweet little joy. 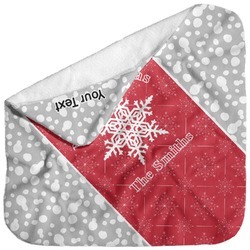 This hooded towel is made of a super soft material that will feel amazing on your baby's skin. 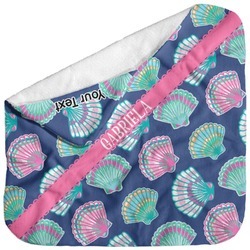 The towel is also really absorbent and will get your baby nice and dry after a bath or a day at the pool. The diamond shaped towel measures at approximately 30" x 30" and even has a comfy little hood to dry your baby's head. It is the perfect size for babies and toddlers. Design the perfect towel for your sweet little child. Put their name right on the hood or even put a funny saying. Pick the cutest little pattern to go all over the towel. There are so many choices! You will be able to make something perfect just for your little one. If you are looking for more accessories for your little one, be sure to check out our Nursery section. 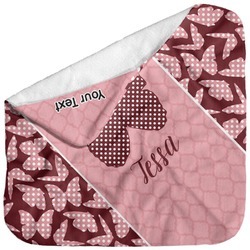 If you are buying for a baby shower be sure to look at our Gifts for Baby section as well. You will find sippy cups, bibs, onesies, and more. Also be sure to check out our hooded towels for kids!